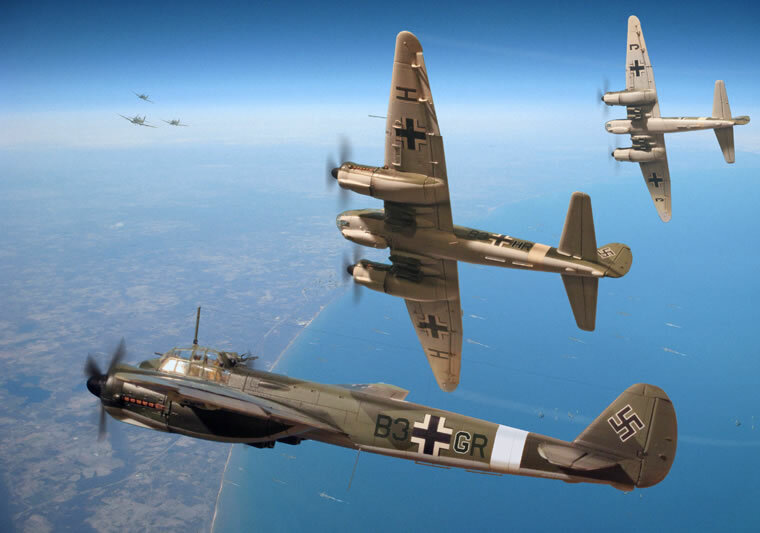 This is a Photoshop illustration I did using the recent Revell of Germany 1/72 Ju-88A-4. It depicts an attack by 7.Staffel, KG 54 on the Allied anchorage off Gela, Sicily in the late afternoon of 10 July 1943. I built the kit primarily to do this illustration, gears-up, with a crew, etc. The new Revell kit is superb, and its approach to construction is extremely interesting, particularly the fuselage construction.